Look around you. The “Internet of Things” is everywhere, and that’s no exaggeration. Gone are the days when traditional laptops, desktops, tablets, mainframes and cloud systems were enough; we’re now more connected than ever courtesy of devices hooked to larger networks. Simple functions like taking a digital picture come with a whole host of communication capabilities; while sensor systems, such as Google’s Nest, allow us to program thermostats from a mobile device. Where will the Internet of Things head next? 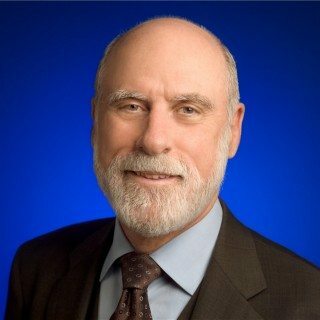 Who better to ask than one of the “Fathers of the Internet,” Dr. Vint Cerf? When it comes to programmable devices, they’re all fast becoming part of a “very rich tapestry,” says Cerf. We’ve all heard the industry buzzwords of the day – like mobility and big data analytics – and the hype is all true. Mobile devices are no longer mere “phones,” but, rather, fully programmable devices, says Cerf. Sensors, including GPS and multiple radios, are also fast becoming functional components of networked mobile, portable and fixed devices. This shift even extends to cars. “Think about Teslas, operated very strongly by and informed by software, rather than relatively inflexible hardware,” says Cerf. So where should companies invest in the Internet of Things? Among the areas to watch, says Cerf, is Medical information. “Our ability to monitor vital signs on a continuous basis and to capture that information … gives us a baseline for what is normal for a person,” says Cerf, who prefaces that by noting the importance of privacy. “Even location information can be considered personal information,” he notes. Looking ahead, companies would do well to focus on standardization of protocols for mobile devices. “Companies should invest in services that offer alternatives to what had been done in other ways, giving the consumer more choices,” says Cerf. Standardization of protocols applies to a whole host of disparate industries including security, heating and ventilation and entertainment, including movies and music. Equally essential will be ensuring that devices, including household appliances that now make up the Internet of Things, are properly configured so that uncontrolled or unauthorized access is denied. “The nightmare headline for me is, ‘100,000 Refrigerators Attack Bank of America,’” says Cerf. “That is going to take some serious thinking not only about basic security technology but also how to configure devices at scale,” he adds, noting no one wants to spend their entire weekend typing IPV6 addresses for each and every household device. Also essential will be finding ways to update devices safely and securely. “Because it’s almost guaranteed there will need to be an update either to fix a bug or a functionality,” says Cerf. “We need to be careful that all of the devices that we put into this Internet of Things have the ability to be upgraded … and certainly without the danger of downloading malware,” he says. “In the remaining decades of this century, more devices will become available and affordable to persons as opposed to companies,” says Cerf, citing a reverse of the typical trend that’s accompanied IT trends in decades past. In addition, “many of those devices will be related to health monitoring,” he adds. “I’m excited about trends that are smaller, personal and affordable, and trends in medical bioelectronics,” he says, citing the evolution of cochlear implants, as just one example. (“My wife was deaf for 50 years, so you can imagine what a transformation it was to receive binaural cochlear implants,” he notes of the technology). Cerf also cites potential developments ahead in ocular and spinal implants as areas to watch. Another key area to watch? 3-D printing. “This may invert the normal way of producing things,” says Cerf, who envisions a time when designs are sent to a user, who already has the raw materials on hand for 3-D printing. “That is something to keep watching over the next several years,” says Cerf. In a field as broad and vast as the Internet of Things, how can your company lead the way in innovation? Simple, says Cerf: Think of a problem that’s unsustainable, and ask yourself what happens when it reaches its breaking point. “Asking those kinds of questions – and trying to anticipate possible answers – is a good exercise for companies,” says Cerf. Some key questions to ask, he adds, include: What happens when we run out of fresh water? Petroleum products? Or when global warming pushes populations farther inland? “Those are the kinds of questions for long-term planning that companies should be asking – and then trying to figure out if they have anything to contribute to solutions,” says Cerf.